Introducing the travel bag system for every journey. At LeanPac, we don’t pack light, we pack smart! 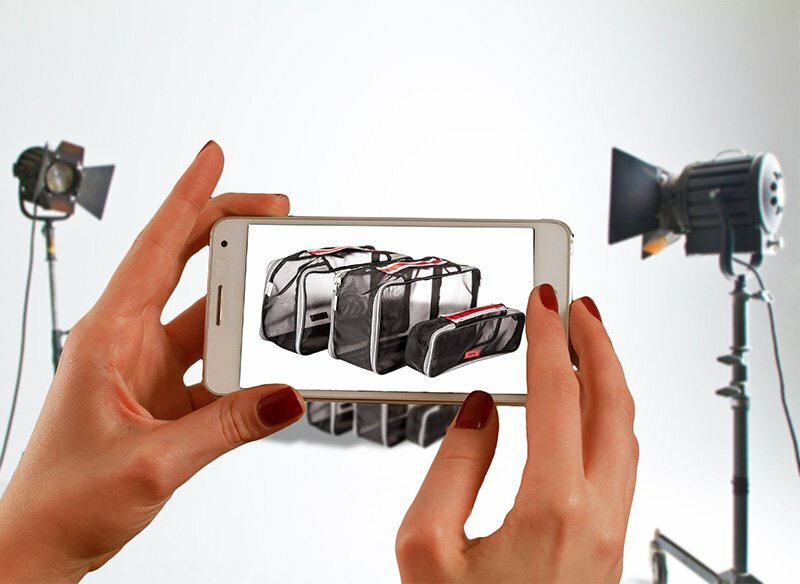 The modular packing concept gives you extra space to pack whatever you will use! Why compromise?! The System is specifically designed allowing access to everything you need whenever you need it without having to hunt around or unpack. Save space, save time! That’s what we are all about! The JamPac, a large well padded backpack/holdall/shoulder bag that comes with its own organiser case. Part of the LeanPac family suite of travel bags. LeanPac® is a passion project by the LeanPac® team advocating productivity, not only at work but at play also. Lean is about accessing what we need, when we need it and at the same time being organised. Our products have been designed and produced to minimize wastage of time and effort during our travels, especially for those of us who view time as precious commodities. Are you naturally lean? Are you interested in learning more about being an efficient traveller? Do you have comments or ideas on the subject? Want to know more about our products? Drop us a line to let us know what you think or how we can work together to promote the message. We look forward to hearing from you! Love travelling - Love Life! Want more product information? Like provoking conversation? Interested in trending topics? Have a look at our blog and articles to see if we can add value and be a good use of your time! That's a challenge! For some of us, as we age, our clothes start getting tighter and our breath shorter. We all want to be healthier but we are all busy and sometimes it’s just too hard. What better time to break that cycle than on a relaxing holiday. Change starts with making a few tiny tweaks to your regular routine that will help you get the habit of feeling better. Overindulging in everything your holiday destination has to offer is just part and parcel of having a good time, but instead of starting your holiday with that mindset, why not decide to make a few small tweaks during your holiday that you can make a habit out of when you get home? Try these few holiday health hacks to not only leave us feeling rested and totally relaxed when we return, but we like them so much that we’re bringing these habits home! Members of the lean team are proponents of smart packers and not light packers. No heels, no hair curlers, buy generic shampoo when you get there?! Why? Having saved up and waited long enough for a wonderful trip to come, why would we compromise quality of the experience by having to be without? On the contrary, sometimes the extra space utility and weight can be worth it. “Necessary” and/or luxury items, when packed and actually used, can make us feel glamorous, indulgent and “vacation-y”. Here are a few suggestions for some weight and space indulgent items we think we should allow ourselves to bring on our next vacation. Have you ever noticed that some travellers seem to go into complete meltdown if part of their travel plans change, whereas others seem calm and collected? That’s because the people that keep it together when things don’t exactly go to plan are usually highly effective travellers who utilise a range of tried and tested habits to ensure that they are prepared for pretty much anything. lean team, we found out quite a few interesting aspects to life amongst the clouds. Here are a few fascinating and some weird factoids we never knew about taking to the skies, according to flight attendants, pilots, and industry experts. We can ignore it and carry on in your blissful ignorance or go with the knowledge of how to mitigate most of it or take comfort in actually knowing…even though we actually wish we didn't know some of it. At LeanPac®, we’re champions of streamlined and efficient packing and believe that no traveller or holidaymaker should have to compromise on their creature comforts when on holiday or pay more for their airline luggage than absolutely necessary. 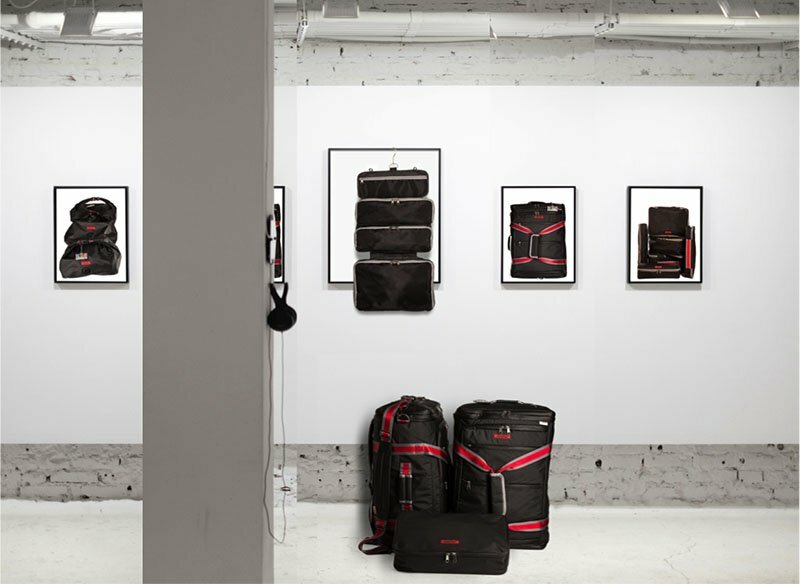 That’s why we wanted to tell you about some of the benefits you’ll get when using our modular packing cubes and how it can make your packing process easier before you jet off. With the final outcome of Brexit remaining to be seen, many people are speculating what impact Britain leaving the EU will have on our future travel plans. There is no denying that with Brexit we could very well lose the principle of free movement that allows us to move without restriction among the other 27 member states. Although it’s tricky to know all of the ins and outs, we’ve created a short list of ways that travel could be affected post-Brexit so you can be prepared. For those of us that love to travel, a bucket list is a great way of organising our future travel plans and making the most of the many amazing experiences available all over the world. Getting away from it all for an escape to a far-flung destination or exploring one of Europe’s most impressive cities is something that travellers of all ages enjoy, but as we get a little older, most of us want to spend less time aimlessly wandering around our destination and more time experiencing everything our latest holiday has to offer. Travelling with small children is enough to fill most parents with dread. Long waits in the airport, the roaring sound of the aircraft engines and having to keep them in their seats when they're full of excitement for their holiday can lead them to act out of sorts and draw disapproving stares from other passengers. Getting your packing list ready for your next big adventure is sure to have you considering which toiletries you’ll need during your break and how much you’ll need to take without adding too much extra weight or using up too much valuable space in your suitcase. As seasoned travellers ourselves, we’ve compiled this list of travel toiletries do’s and don’ts to help you ensure that you take what you need without having to lug your entire bathroom cabinet around. That’s why we’ve devised a new, streamlined system using the ‘power of 3’ to help you avoid packing unnecessary items and to make the most of your available suitcase space. Travel scams are so obvious and we will never fall for them…will we? You’d be surprise how easily we can get caught off guard when in holiday mode. Unscrupulous individuals are always coming up with new and inventive ways to trick holidaymakers out of their hard-earned cash while they're on holiday, so we've collated this list of trending holiday scams to make sure that you're not persuaded to part with your money and line the pockets of these less than reputable people. Even the most organised and best planner can’t plan for everything that can go wrong on a trip, but being prepared for common problems can be hugely calming for anxious travellers. Hence give our top tips a try. It will help you relax while travelling and enjoy some R&R during your break. Clothes? Check. Passport? Check. Toiletries? Check. Split Key Rings?!!! When you’re putting together your holiday packing list, you’ll be focusing on getting all the essentials you’ll need to enjoy a fantastic break away with friends or family. But there are some weird but wonderful items you might not have considered that can be super useful during your break. The value of an item increases exponentially with each function, simply put, the more flexible and more different uses an item has, the more invaluable they become! Here’s our top four items and an explanation on why you shouldn’t travel without them! Being robbed is a traumatic experience, which we take every precaution to prevent. But nowadays, robbing can come in a less dramatic way digitally and as harrowing, hence we should be no less vigilant. ID fraud and personal information theft seems to be everywhere at the moment, and many holidaymakers are falling victim to them when travelling abroad. To help keep your personal details safe, here are some top tips to stop ID fraud the next time you go on holiday. Packing should be simple and straightforward before you jet off on holiday, but you’d be surprised at the number of people that have their breaks ruined by making these four rookie packing errors. Take a look at the list below to make sure that you don’t fall victim to these common packing problems that could potentially spoil your holiday. From straw donkeys to sugar-laden sweets bought as an afterthought at the airport, we've all received a dodgy gift from a loved one that's been abroad on holiday. Most holiday destinations have an array of tacky trinkets specially targeted at tourists, but most of the time these little gifts are often packed straight off to the nearest charity shop or popped in a cupboard or drawer never to see the light of day again. But if you love bringing home gifts for friends and family members, there’s still ways to avoid these terrible travel gifts and give them something they’ll actually appreciate instead. It’s the thought that counts; hence thoughtful travel gifts are usually the most useful and touching presents. Here are some great ideas on good holiday gifting to get you started. Roaming charges in the EU have largely been scrapped, but outside Europe, you can face hefty charges. Even when roaming is 'free' in the EU, there is still chance that you get a substantial bill when using too much data plus the fact that we have no idea if it will still be “free” after Brexit dateline in March 2019. If you're heading off overseas but can't live without your mobile phone, then make sure you take a few moments to read this helpful guide featuring top tips on how to save money or calls and internet usage abroad, EU or not. Following some of these suggestions will help you to avoid a nasty bill once you arrive home. If your flight means that you’ll be travelling overnight or between different time zones, you’ll want to give your body every opportunity to adjust to any new sleeping patterns, so you arrive feeling refreshed and ready to start your holiday. But some of the things we do to try and encourage our bodies to get into this pattern can actually make matters worse, so here are a few useful sleep hacks and things to avoid on overnight flights. We know that when you’re sick to death of frost-bitten fingers and runny noses, then the temptation to jet off for some winter sun and escape the miserable British weather is real! If you’re lucky enough to be heading off for some R&R, here are some helpful winter sun packing hacks to make your upcoming holiday preparations easier than ever this year. Read on to discover how to be a layer expert and never compromise on what to wear again! Opting to travel solo on your next big adventure gives you total freedom to go where you want, when you want to, without having to check in with or accommodate anyone else. There is no difference whether packing for travelling alone or with some one. It just means that you cannot share stuff and it also means that you have no one that you can rely on if you’ve forgotten to pack an essential item. Hence, it more important to make sure that you get your packing right before you jet off to your chosen destination. Here are a few “extra must-have” essential packing items for the solo traveller as somehow they feel like when without these, being alone in that situation feels worse! Plus, they help you make friends along the way as someone or another will need them! The good old backpack has been a travel staple for generations, there’s even a specific type of holiday designed for ‘backpack’ travellers, so you can see why backpacks are still a popular choice for those that want to jet off on an adventure without having to wheel a bulky suitcase along. But it’s down to you to make sure that your backpack is used properly to ensure that you don’t cause any damage to back muscles or your spine during your next escape. Here are a few tips on how to use your backpack safely. If you're off on your latest adventure, it might feel like the most natural thing in the world to upload your latest photos to Instagram or log on to Facebook to check out what friends and family back home are up to. But what if you were missing out by using social media while you’re away? Here’s just a few reasons why you should try and curb your social media usage the next time you head off to explore a far-flung land. We travellers are getting far more environmentally conscious when it comes to our everyday lives. This isn’t just something to practise at home as there’s absolutely no reason why you can’t keep your commitment to the natural world the next time you head off on an adventure. Plastic waste have been featured a lot in the news lately and rightly so as plastic bags can take up to 500 years to biodegrade. We want our travel memories to last as long but to leave such negative environmental impact behind that last that long is unfathomable. Here are a few tips on how to easily reduce and minimise your plastic use the next time you travel. Everyone seems to have their own way of packing a suitcase ready for their holiday, but out of rolling or folding clothes, which technique works best? The debate goes on, but whether you roll or fold is not as important as what you take with you. Check out our blog on packing smart. Once you have the ideal holiday wardrobe, the lean team concludes that a combination works best. Here’s a quick guide on rolling AND folding to help you tailor the optimum packing process best suited to you. Where’s The Safest Spot For My Essential Travel Documents? From passports and visas to accommodation details, travel documents are part and parcel of any foreign getaway. These essential items are important, so you’ll need to keep them close at hand, but where is the safest spot to stow them during your journey and once you arrive? Here are our top tips for keeping your travel documents safe while also ensuring that you always know where to find them when you’re in transit.